The question on the lips of participants of the Lindau Nobel Laureate Meeting was not if the detectors of gravitational waves would win a nobel prize for their work. It was a matter of when. The Nobel prize for physics will be announced within the next 100 days. On 11 February this year, scientists from the LIGO collaboration announced that they have detected gravitational waves. This was followed up by a second detection last month. The waves were caused by giant black holes merging in events that took place more than a billion years ago. Gravitational waves are distortions in space and time that, rather than the force of gravity, explain the movement of planets, stars and galaxies. In his 1916 theory of General Relativity, Albert Einstein predicted the existence of these waves, linking space and time. Their detection “opens up a whole new era … a new branch of astronomy”, Smoot said on the sidelines of the Lindau meeting, which was dedicated to physics. LIGO, which stands for Laser Interferometer Gravitational-wave Observatory, is a system of two detectors, one in Louisiana and the other in Washington. Each detector involves two 4km tunnels that meet at right angles (like an L). A laser beam is split to run down the two tunnels, and is then reflected back and forth downt he tunnels. There is a detector where the two arms meet. 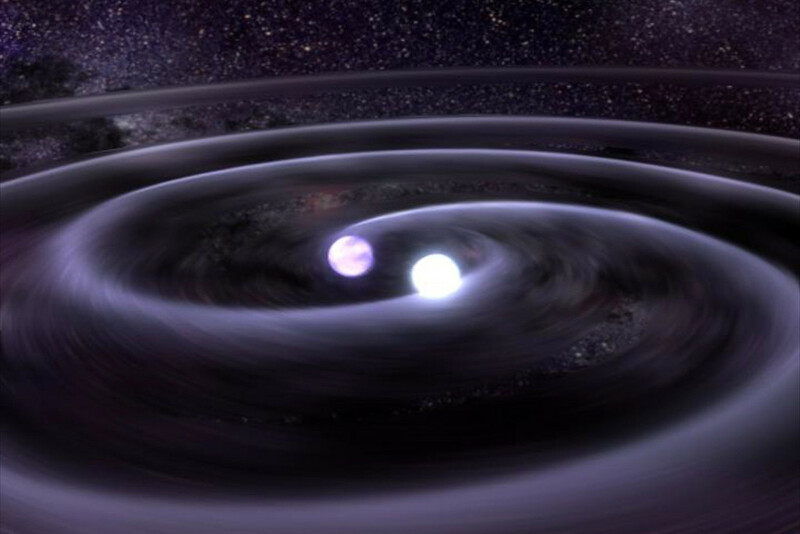 If there are no gravitational waves, the laser beams cancel each other out at the detector, because the laser beams have both travelled the same distance. But if there is a ripple in space time, the distance travelled by the beams differs slightly, and this is picked up by the detector. Think of two people on opposite sides of the equator who start walking towards the North Pole: they will meet eventually, not because there is a force pulling them together, but because the Earth is curved. The same idea applies to the rest of the universe: planets, stars and galaxies moves in certain ways because space itself is curved. Although LIGO has been around since 2002, it only detected these gravitational waves after a multi-million dollar overhaul. Smoot, who received his Nobel prize for the detection of the cosmic microwave radiation background, said that the next 20 years would involve improving detectors and observatories and creating new ones for “gravity wave astronomy”. This article first appeared in the Sunday Independent on 3 July 2016.